You would love to work in a Flower Shop but you love doing wedding work? It is important to note that Hand Tied Bouquets are the most popular floral displays sold in a flower shop on a daily basis. Perfecting this skill is part of our Module 2 Certificate. During this module we also cover some more Flower Arranging Techniques and also some sympathy tributes. 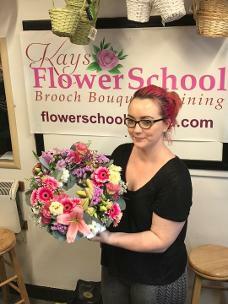 Being one of our more popular Floristry Courses our students range from early school leavers to those of you whose family may be reared and are looking for new challenges, or for those of you who are looking to change career direction or earn a second income from home. Students attending this module will also have access to some FREE Online tutorials and as with all students our Online Flower Student Resource section of our website. During this course we also cover the essential business skills you will need to think about if you start your own business, from shop layout, location, business plans & social media. Your tutor Janette O'Rourke is an renowned expert in the Flower Industry and is well known for her fun & vibrant personality, Janette's unique training style will having you laughing and learning all at once. Students enrolling on Module 2 will normally have completed Module 1 Beginners Floristry Training Certificate, but this is not an essential requirement, in saying that we would like you to read through the curriculum of Module 1 so you are aware what most other students attending will know already and is not covered on this module. Hand- Tied Bouquets in Aqua Packs. Purchasing materials & accessories required to create Hand Tied Flower Bouquets Purchasing / Treatment. Booking Fee: €200 to reserve your place and the balance can be paid by cheque / bank transferseven working days before your course begins or by Cash on the first day of your course. 1 Day Option: To attend just 1 day of this course the fee is €200 per day please send on full amount in advance to reserve your place. Please contact school to see it they can organise the course syllabus for the day you wish to attend. 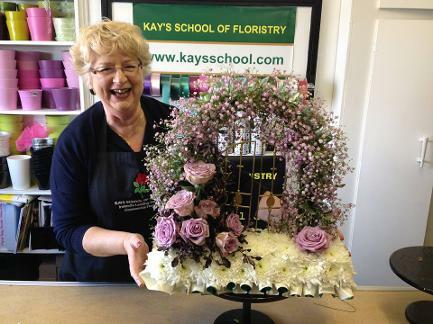 It is important to remember that Kay's Flower School is an independent floristry training school. We are not affiliated with any Flower Shop or Flower Wholesaler or Supplier. 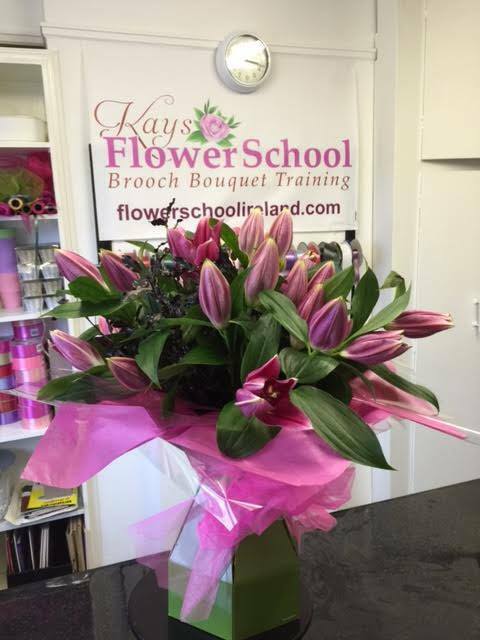 We teach you the professional commercial flower skills to help you on your way in the Flower Industry. 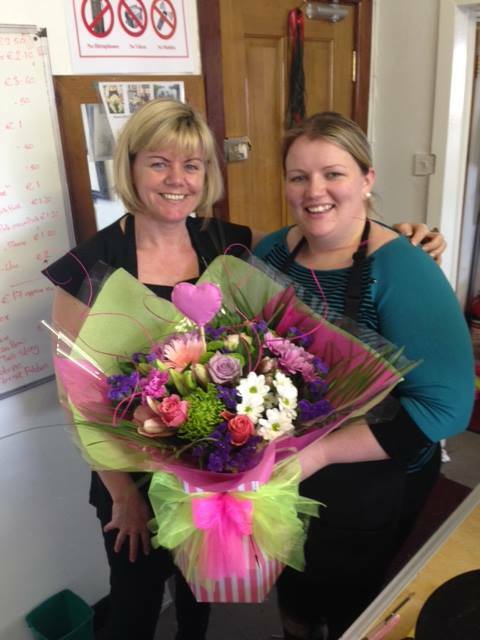 We have been training florists all over Ireland and Great Britain for over 30 years. Cancellation Policy Deposits must be paid to secure you place on any of our courses. Sympathy Floristry is the "Bread & Butter" of any flower shop and knowledge of all aspects of design is essential. Learn to offer an array of different funeral tributes that will make you stand out from the croud.